The PEI Association for Newcomers to Canada is warning of a new phone and email scams that target immigrants. The messages claim to be from the federal immigration officials and tell victims they owe money. The messages started across Canada a couple of weeks ago. “What we’re trying to do is put the word out to newcomers that the government doesn’t operate by phoning people or emailing people,” said Craig Mackie, the association’s executive director. 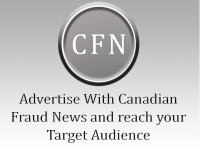 A handout the association has posted urges victims not to comply with any demands from callers claiming to be with the Immigration Review Board or RCMP, and to contact the Canadian Anti-Fraud Centre at 1-888-495-8501. They can also contact the Association for Newcomers for help, Mackie said. No one on P.E.I. has yet to be targeted by phone, Mackie said, while one Island family was targeted by email. Email scams often try to trick newcomers into sharing personal and banking information by telling them they’ve won something or have been nominated for special immigration status. Read the full story over at the CBC.